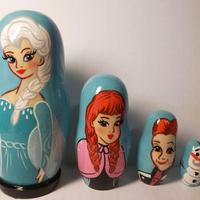 Frozen Elsa hand painted Russian wooden dolls. 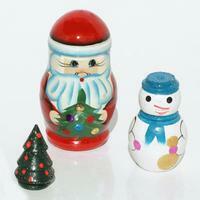 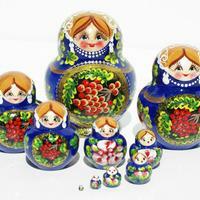 Set of 5 nesting dolls, height of largest doll is 10 cm. 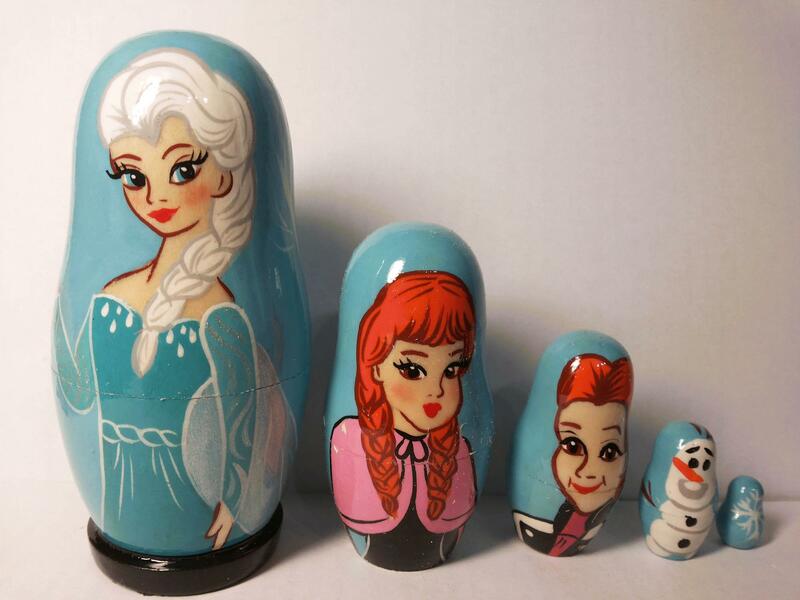 All smaller size dolls are entering inside of bigger ones. 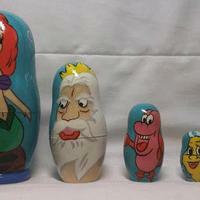 The doll handmade in Russia.